Invisalign offers a range of treatment options for teenagers. The great benefit of Invisalign is that it provides an aesthetic, more flexible way to give teenagers the confidence of a great smile. Unlike traditional braces, Invisalign aligners are comfortable, removable and nearly invisible, which means teenagers can carry on enjoying life without the restrictions, irritation and self-consciousness associated with the metal brackets and wires. 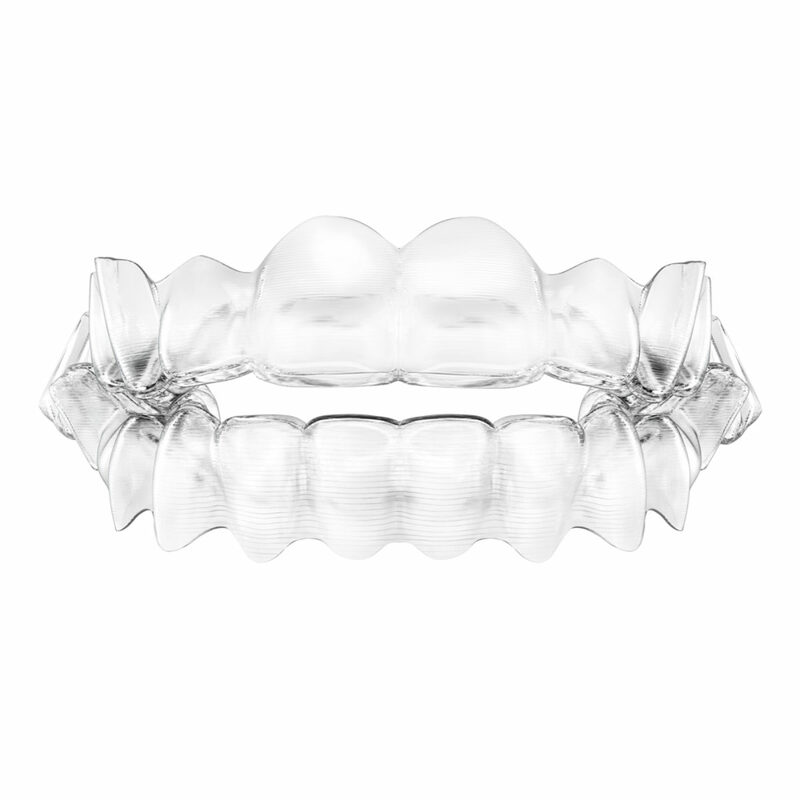 Invisalign aligners are also removable, so teenagers can continue brushing and flossing normally. This can lead to better overall dental health in the future. Some teenagers will be suitable for the same Invisalign treatment as adult patients. Younger teenagers, or those who haven’t got all of their adult teeth erupted can be treated with Invisalign® Teen – a treatment designed specifically for teenagers. Your dental practitioner will determine which treatment best suits your individual needs and the condition of your teeth. Blue wear-indicators fade from blue to clear to help your dental practitioner, you and your teenager to gauge wear time. Special features designed to compensates for the eruption of canines, second premolars and second molars. To find out more about Invisalign for teenagers, please talk to your dental practitioner who’ll be able to suggest the best treatment option for you.